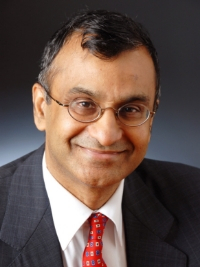 Dr. Nanisetty has extensive Wall Street industry experience in Quantitative Analysis & Risk Management, and is a consultant in a private equity firm and serves on the Board of Directors in a Hedge fund. Prasad Nanisetty joined the faculty at Stetson in January 2019. Previously he was the Professor of Practice at Lehigh from 2016-2018. Prior to that he was Executive Director, Risk Management at Indus Capital from 2013-2015. For the eight years prior, Prasad was the Head of Risk Management at Artio Global Management. His professional experience also includes four years as the Senior Vice President for Quantitative Analysis and Risk Management at Jennison Associates; three years as a Managing Director for Quantitative Analysis and Risk Management at Prudential Investments; three years as Director of Risk Management for Nomura Securities International; and, a year as a Senior Associate at Smith Breeden Associates Inc. For the previous nine years, Prasad was an Assistant Professor of Finance at Indiana University in Bloomington. Prasad received his Doctorate in Business Administration from the University of Michigan as well as a Master of Science in Statistics and Operations Research from Bowling Green University and a Bachelor of Statistics in Mathematics and Statistics from Indian Statistical Institute. "Time-Varying Risk and Return in the Bond Market: A Test of a New Equilibrium Pricing Model." (With Cynthia Campbell and Hossein B. Kazemi), The Review of Financial Studies, Fall 1999, 630-642. "Return Generating of Long-Term Bonds and Measurement of Risk: Theory and Empirical Tests." (With Nikolas Milonas and Hossein B. Kazemi), The Review of Quantitative Finance and Accounting, Vol. 5, (1995), 231-241. "Evaluating Stock Price Behavior After Events: An Application of the Self-Exciting Threshold Autoregressive Model." (With Susan Crain and Rakesh Bharati), Quarterly Journal of Finance and Accounting, Spring 2009, Vol. 48, No 2 23-43. "Dynamic Gap Transformations: Are Banks Asset-Transformers or Brokers? Or Both?" (With Jacky So and Rakesh Bharati), The Quarterly Review of Economics and Finance, 2006, v46, i1, pp. 36-52. "Are Dividends Smoothed Signals of Earnings Asymmetry?" (With Manoj Gupta and Rakesh Bharati), International Journal of Business, 1998, v3, n2, pp. 1-18. "The Effect of Time-Varying Covariances on Asset Risk Premia: A Test of Intertemporal CAPM," (With Rakesh Bharati and Manoj Gupta), Review of Quantitative Finance and Accounting, September 1996, pp. 205-220.